My eating disorder symptoms stopped for the first time after meeting Derrick; he was my first boyfriend. I don’t know why I stopped. The intensity of my first gay relationship gave me the push I needed to finally escape the regular late night duels between my fridge and the bathroom. I quickly picked up on how Derrick struggled with food. As a recovering anorexic, I felt weird coaching someone else to believe that I liked how he looked and that I didn’t want him to change. He never believed me. 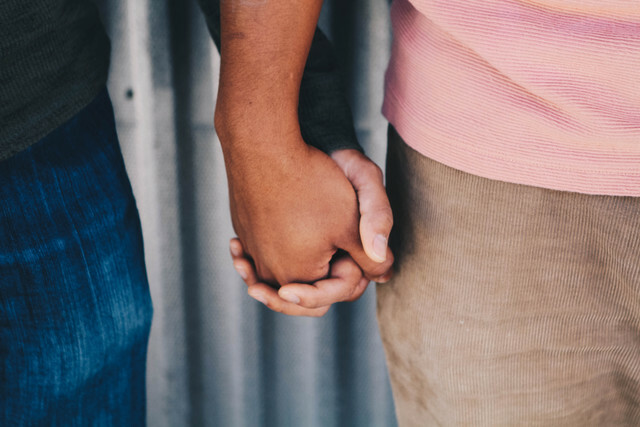 This post is a series of reflections on what recovery has looked like during various relationships. I wanted to write it after asking a close friend about how early in a new relationship it was appropriate to disclose that I once had an eating disorder. I’m writing this because all the resources that I know of focus on the worst parts of an eating disorder. There is far less about how recovery isn’t a binary state of being, but an ongoing process; something you renegotiate with every new person and meal. Two years after my relationship with Derrick ended I saw him for the first time on Queen street. He looked unhealthy. I remember feeling sad. “You’re not the usual demographic, but I think you have gallstones.” the doctor told me at midnight in an emergency room. My abdomen had been in intense pain all week whenever I ate. Another doctor explained to me that my symptoms could disturb cholesterol flows in the gallbladder — causing a then-23-year-old body to have gallstones. I had been seeing a guy at the time who responded to the news about my upcoming surgery to remove the gallbladder in a way that framed it as positive regarding removing weight from my body. I was too stunned to respond in that moment. I later told him how his response made me feel and why it’s unhelpful to reinforce those unhealthy beliefs. I felt proud of myself for doing that. “You’re vegetarian? I’ll take that as a challenge.” It was the morning after I first met Trishan. Oh God, I thought, he wants to talk about food. I identified as fully recovered by this point, but I didn’t realize how much I treated food as function devoid of pleasure. his hands would dart around with a passion about food that was spiritually Italian. The meals he cooked were meant to be delicious, and they were meant to be eaten together. They embodied the idea that through food you can celebrate what bodies can do and feel and taste. I didn’t change overnight. But my habits of ignoring food, of changing the conversation away from food, were renegotiated as accidental exposure therapy enabled me to process my underlying fears. Of all my exes, I give Trishan a lot of credit. His response to learning about my eating disordered past was simply to know he was out of his depth, so he just listened. More than suggestions, that was what I needed. And he taught me how to love food again. 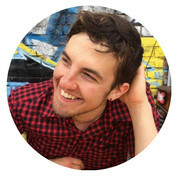 Ben works for the Institute for Change Leaders and Olivia Chow at Ryerson University, where he helps coordinate workshops that involve teaching learners how to tell their stories to inspire social change. He grew up and lives in Toronto, and is an organizer for queer, climate, and labour justice. He is a bit of a dog person.